The 4th Annual EMY Africa Awards is coming this June. Recognises a man who is very impactful in society; a change exponent; responsible paterfamilias and mentor; an innovator; a visible team player; a certifiable gentleman and pillar of community. Recognises an African man who is very impactful in his society – one who is a change exponent; responsible paterfamilias and mentor; an innovator; a visible team player; a certifiable gentleman and a pillar of his community. Recognises a woman of excellence and innovation who has inspired many; who has broken new ground or old barriers; and contributed to her community and the nation at large, in her professional and volunteer leadership. Recognises an African woman of excellence and innovation who has inspired many; who has broken new ground or old barriers; and contributed to her community and the continent at large, in her professional and volunteer leadership. Recognises an acclaimed veteran of an industry who has been an exemplary leader over the course of his lifetime, whose work has broken barriers and influenced change, and who is a role model in his careers and community involvement. This award recognises a Ghanaian living in the diaspora who has made significant contribution to his area of residence and is also involved in development in Ghana. This award recognises a Ghanaian who against all odds maintains a watchful eye on the state of affairs of the country and blows the whistle when necessary. He must be a man who encourages national discourse on development, human rights and freedoms, and the fight against corruption. This recognises the man whose position, demeanour and intervention in matters of conflict and have brought resolution to flashpoint tension, internal discord and threat to national peace and stability. Recognises a man who has built formidable and communications enclave far outstripping existing media in innovative programming and commendable expansions. A man under the age of 40 who has excelled and showed evidence of impactful contribution in his area of endeavour. A woman under the age of 40 who has excelled and showed evidence of impactful contribution in her area of endeavour. This award recognises an outstanding men organisation who by proof of their participation and contribution have made an impact on society. This award recognises to icons in diverse fields whose impact and works have been seen and felt across the continent of Africa. 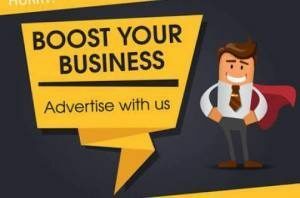 Businessmen, entertainers, health workers, legal practitioners, sportsmen, diplomats, etc. This award recognises a socio-economically active resident non-Ghanaian or 2nd/3rd generation Ghanaian who has made an impactful contribution in area of endeavour, especially with involvement in development, investment, etc. This award recognises a personality who has demonstrated love for humanity and who has contributed to communal development or a cause. There has to be evidence of humanitarian work and how it has improved on quality of life. This award recognises a thought leader, a role model and an inspirational leader who has shown an ability to nurture mentees and protégés. This award recognises an agriculturist or an agro-based entrepreneur who has made notable contribution to agriculture. He should also have an impact on society through innovation, employment acreage or contribution to food security. This award recognises a man – scientist, innovator or tech entrepreneur – who has successfully applied technology in the areas of human comfort and development, such as business, communication and health. Named after the Rod of Asclepius, which represents medicine and health. It recognises exceptional work in health and wellness and is awarded to a health practitioner or entrepreneur who has made notable contribution to the area of health. A professional in the oil & gas industry or an entrepreneur who has made notable contribution in the area of oil & gas. This award recognises a magnate – an entrepreneur, founder or majority shareholder of a business – who is well respected and has significant influence in his field of business. His business must be socially accountable, contribute to sustainable development (CSM), and have good customer relationship management. Recognises an outstanding man of panache and unique style, whose magnetism and good manners permeate through his work. This award recognises the most outstanding male designer, whose ideas are original and impactful. This award goes to a physically impaired person who has against all odds made a positive impact in society. Named in memory of Paul Archibald Vianney Ansah, this award recognises a communication professional who is an opinion leader with the most positive outreach, and an inspirator with the most influence. This award recognises the most prolific and consistent personality in the entertainment industry in the year under review. He must be Ghana-centric and have reach that extends beyond the country’s borders. This award recognises the most prolific and consistent sports personality in the year under review. This award recognises a young adult male who is emerging in a chosen industry. He must exhibit peer leadership skills and be a budding pillar of community. This award recognises an African brand that is a champion in its industry category based on the current year market prominence and consumer preference. In the year under review, a man can be recognised for something extraordinary they did for the benefit and growth of society. 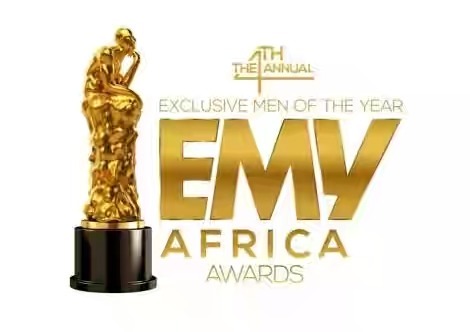 The EMY Africa Awards is a prestigious annual Father’s Day related event that celebrate personalities who have contributed their quota to change and progress and continue to be symbols of stability and role models in the community. Since 2016, EMY Africa has celebrated the best in men’s achievements across local industry, community, culture and public service. Dozens of men and personalities from all ages and walks of life have been honoured for their abilities, initiatives and contributions to society. Last year, the highly respected businessman and chief, Togbe Afede, was honoured as the Ultimate Man of the Year. Many other great individuals were also honoured for their great works. Visit www.emyafrica.com for more information and nominate or send you nominations to nominations@emyafrica.com. Your essay should not be more than 100 words and should include the nominee’s profile, the category you are nominating them for and why. MY Africa awards is powered by Carbon AV Projects & Events, EM Magazine and proudly supported by the Multi Media Group.